Sky Tour lunch option is subject to restaurant availability. Your booking is pending until confirmed. 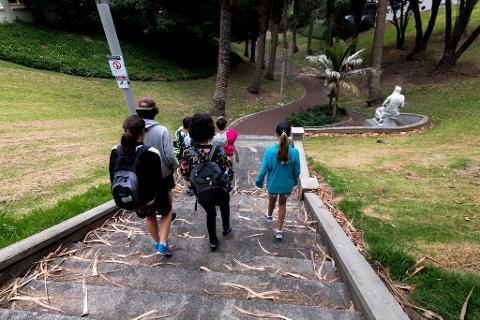 Price: Includes: Small-group city walking tour with refreshments/bus fare. 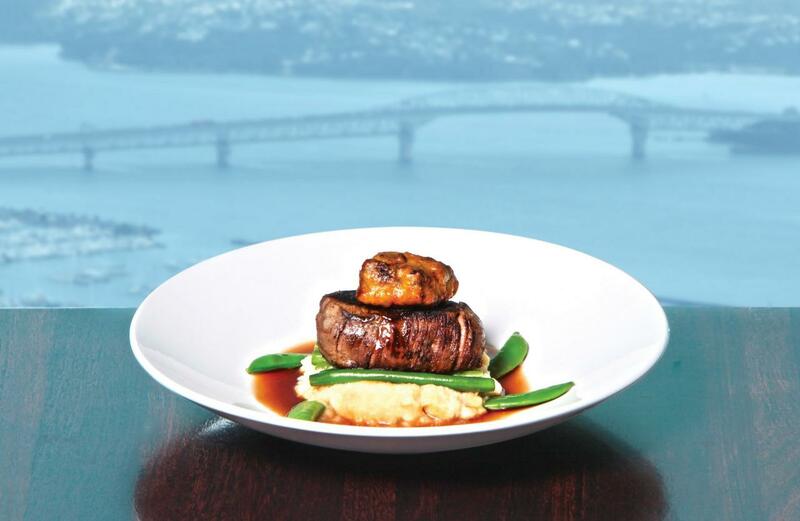 Sky Tower lift pass and 2-course set-lunch at restaurant Orbit 360. 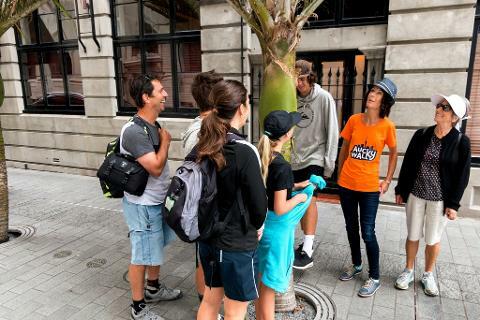 Small Group size: 2 - 8 people maximum (This tour requires a minimum of 2 people to proceed). 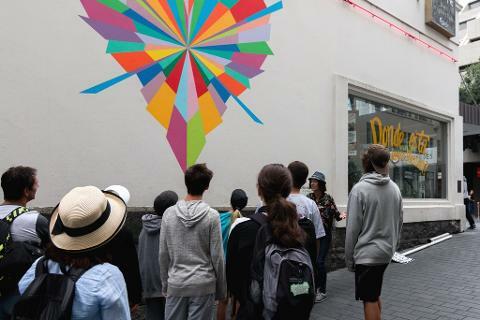 Your small-group tour starts downtown on Auckland's historic Queen Street. 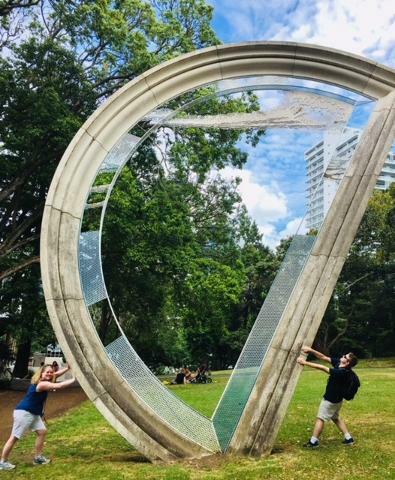 Your friendly local guide will walk you through the city’s hidden laneways to an early Māori fortress and a park with a military secret. Enjoy a refreshment break at a luxurious hotel as this tour includes an indulgence or two! 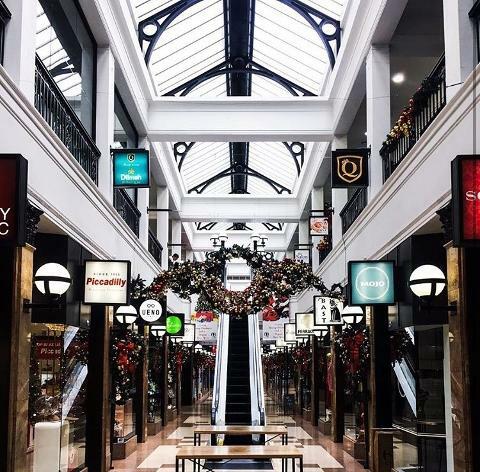 You’ll discover Auckland’s stunning Art Gallery and Suffragette Square before hopping on the locals' bus together to vibrant uptown and an historic arcade loved by locals. A gentle stroll through a valley humming with birdsong brings you to the city's theatre district and finally, the Auckland Town Hall. Your tour ends on a high with a delicious 2-course lunch up Sky Tower at rotating restaurant Orbit 360. You'll walk then travel by high-speed lift to the top of Auckland! Your guide will check you in at the Sky Tower lobby then bid you a fond “Haere Ra” or farewell. This tour is subject to restaurant availability and booking confirmation. Menu changes seasonally so food image example only. Sky Tower lift pass, 2-course lunch at Orbit 360 and access to the Observation Deck.